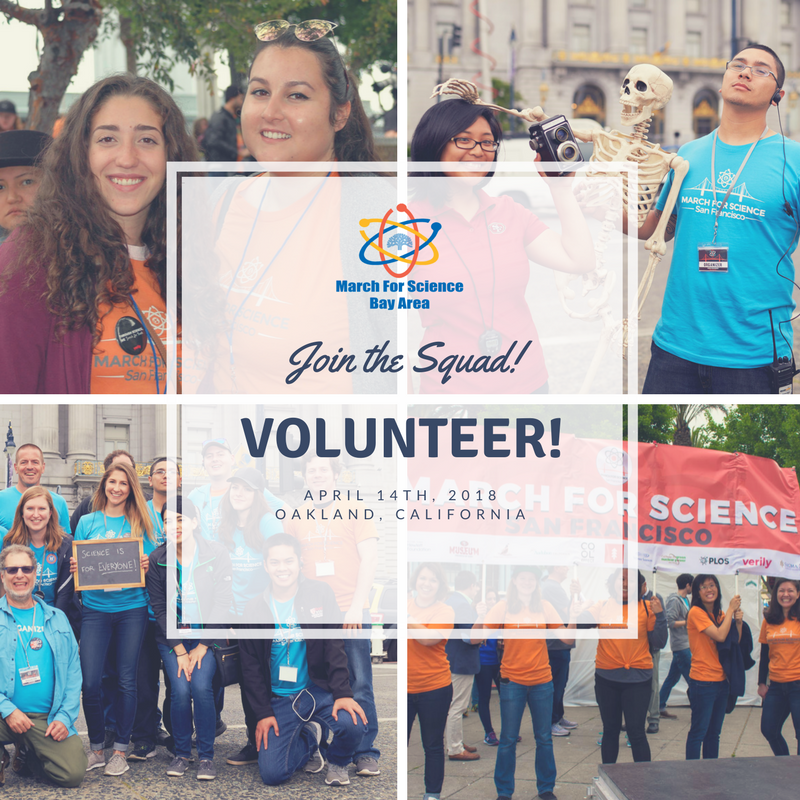 Volunteers are the backbone of March for Science San Francisco. We are a volunteer run organization and purposefully developed a structure encouraging community involvement. Description, expectations, & recommendations on our ongoing volunteer opportunities are included below. Expectations: Time commitment for this is typically two days - one day being a couple hours required training, with the other day being the event itself. This also requires some email or phone communication. Do you have an event you want March for Science involved with? Sign up as a WG Lead & we will help to set up materials and activities so you are able to represent March for Science at your event. Expectations: At least 6 hours total, from discussing event through ability to execute the event. Time commitment varies based on complexity of the event. To become a member on an existing working group, please choose this option on the application, then indicate what working group you would be interested in working with, and how many hours per week you are available. Our partner organizations host events and programs covering many different areas, please check our partners page for more information on what programs and services are available. Attend community meetings in your area and help us keep up to date with the vast network of the Bay Area. Expectations: Attend 2 community meetings per month representing March for Science. Request to know what evidence they’re using to craft policies in your area. Report back your findings. Expectations: Collect information about science related groups, events or programs in the bay area. This requires some phone and email communication. Time commitment varies by task. Host a person with a science related degree or profession in your classroom. This may be by phone or video. Time constraints & topic can be discussed prior to event. Expectations: Usually weekdays. These may be in person or by video, time commitment may vary per event. Some phone & email communication prior to event. Be able to talk to students. How has science developed to where we are now?